Adding skylights will really enhance your home, giving that finishing touch to your extension or conversion, but make sure you get the experts to install them. 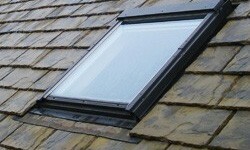 As you’d expect, we’re accredited installers of roof windows, so you can rest easy when you call us. We’re ready to take your call on Leicester 0116 316 9544. Call today! We’re among the elite group of Velux window fitting companies in Leicester that you can rely on to deliver on customer service and craftsmanship. Why not get in touch now so we can give you a free estimate for any job. We look forward to hearing from you!